For get pushed challenge this week set by Annie to creat a dramatic atmosphere using shadows. 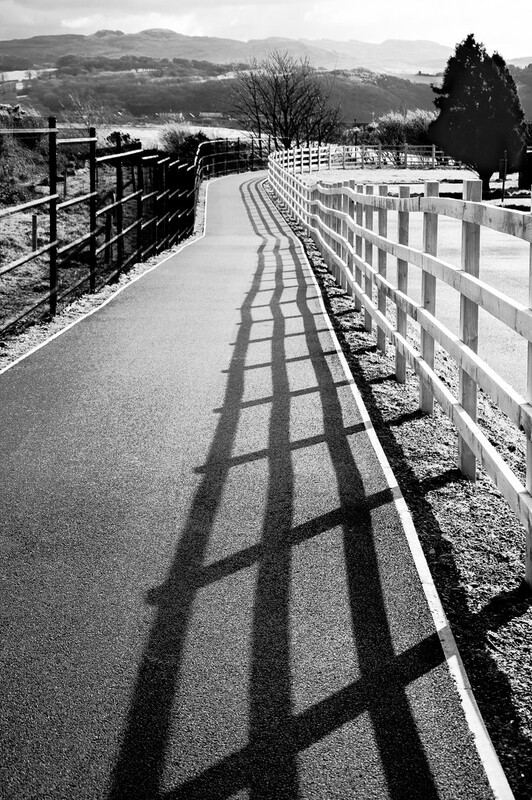 Great leading lines and shadows I can not visualise where this is - is the pathway new ? @beryl yes, it's new. On the right hand side is Ty Moelwyn, it housed the HmRC, tax office. The cycle path leads to the beginning of the Cob. always pleased to see additional provision for cyclists. Great shadows going right down the path. @30pics4jackiesdiamond next time North West :-) enjoy your trip in South Wales! Love these lines and shadows. Nice one for the challenge. I think it shows a long path down (or perhaps recently walked up).